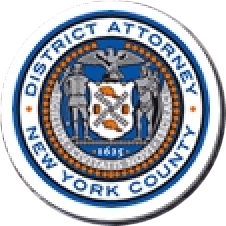 Manhattan District Attorney Cyrus R. Vance, Jr., today announced the sentencing of ABRAHAM CUCUTA, 34, to life in prison for fatally shooting two men in East Harlem in June 2007. On December 19, 2017, the defendant was convicted by a New York State Supreme Court jury of two counts of Murder in the First Degree. As proven at trial, at approximately 4:30 a.m. on June 7, 2007, members of the “Bloods” gang, including 27-year-old Manuel Sabater, were playing a game of dice with members of the “Crips” gang, including 18-year-old Joshua Agard, in a courtyard within NYCHA’s East River housing complex. CUCUTA, a member of the Bloods, left the game and returned shortly afterward with a firearm. He subsequently attempted to shoot one of the members of the Crips, but instead shot Bloods-member Manuel Sabater. CUCUTA then shot Crips-member Joshua Agard in the head, causing him to fall to the ground, and then proceeded to shoot him five more times. Both victims died shortly thereafter as a result of the bullet wounds. Assistant D.A.s Dafna Yoran, Senior Trial Counsel, and James Lynch, handled the prosecution of this case with under the supervision of Executive Assistant D.A.s David O’Keefe, Deputy Chief of the Trial Division, and John Irwin, Chief of the Trial Division. Deputy Chief Investigator Jonathan Reid, Technology Analyst Henry Chapman, Detectives John Peters and William McNeely of the Manhattan DA Squad, Senior Investigative Analyst Ryan Brown, and Specialized Administrative Assistant Judith Osorio assisted with the case. District Attorney Vance thanked Detective Joshua Berish of the NYPD’s 23rd Precinct for his assistance with the investigation.